Installing & Configuring BuddyDev Dashboard. Skip to Configure to enter your api key and other details. Skip to Configuring section to enter your api key and details. 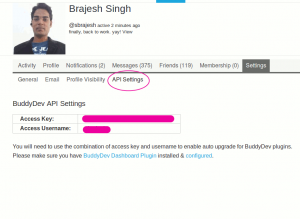 Please visit your BuddyDev.com account and under the settings page of your profile, click on ‘API Settings’. You will see the api key and your username as shown below. 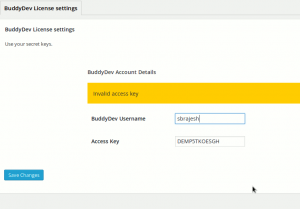 Visit Dashboard->Settings->BuddyDev Dashboard ( If using Multisite visit Network Admin->Settings->BuddyDev Dashboard ) and you will see the option to enter your BuddyDev API Key and the username from the previous step. Enter your api key and user name and update. It will give you a feedback if your access settings are valid or not. That’s all. 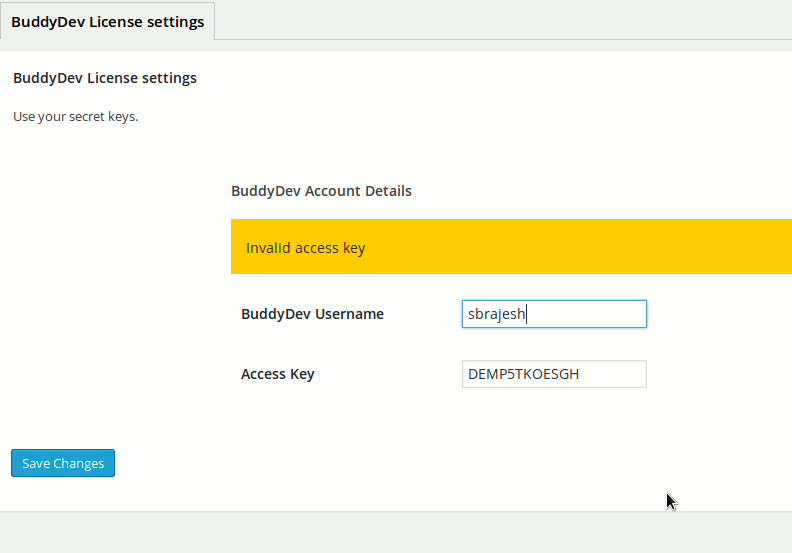 In future, you can use the normal automatic upgrade for all of BuddyDev plugins. BuddyDev API key is freely available to all BuddyDev users.